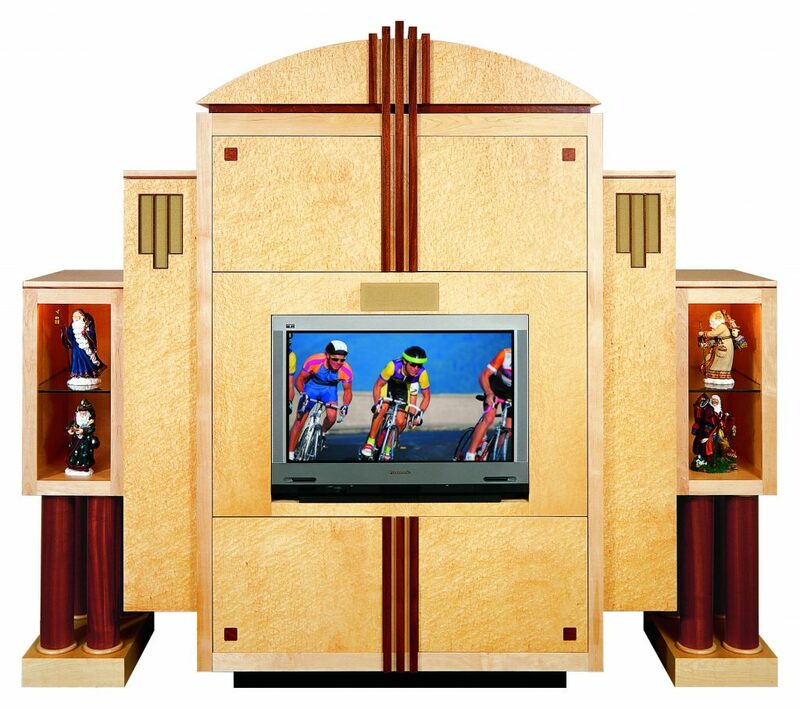 Media Rooms Inc. produces unique furniture. We consider our one-of-a-kind creations more works of art than simple cabinetry. 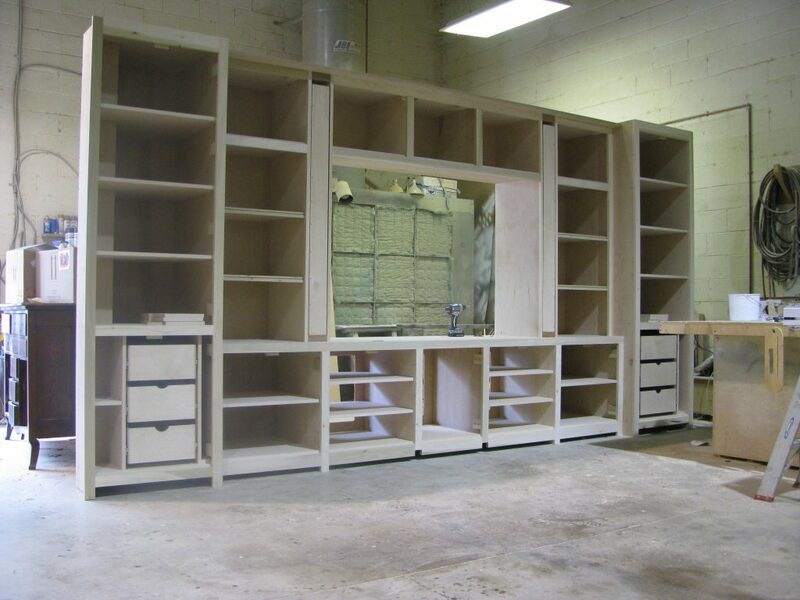 Although we build virtually any type of furniture, we specialize in cabinetry for audio/video systems. Our expertise in the installation of sophisticated audio and video systems provides an excellent background to manufacture furniture specifically for home theaters and media rooms. 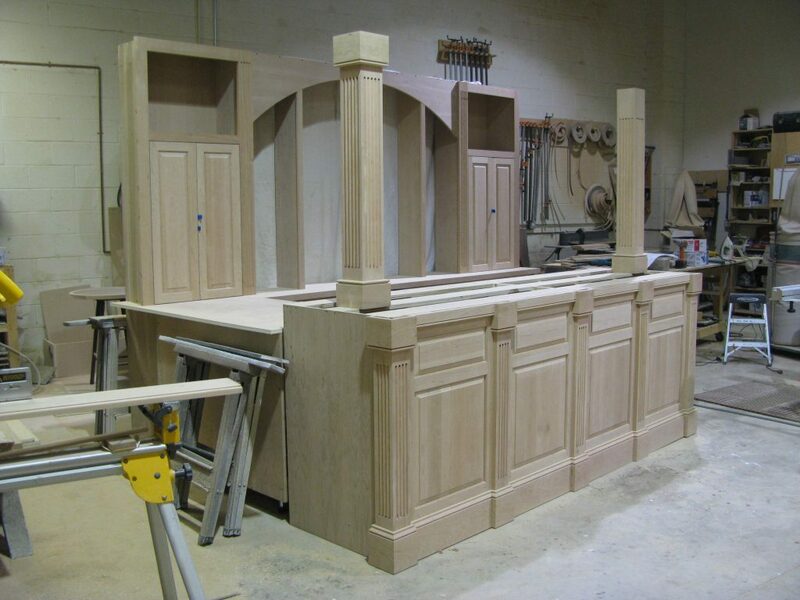 Our company is unique in that we actually design and build cabinets and theater interiors in-house. We do not subcontract these services out to others. There are no other custom audio/video companies that have all of these services in-house. 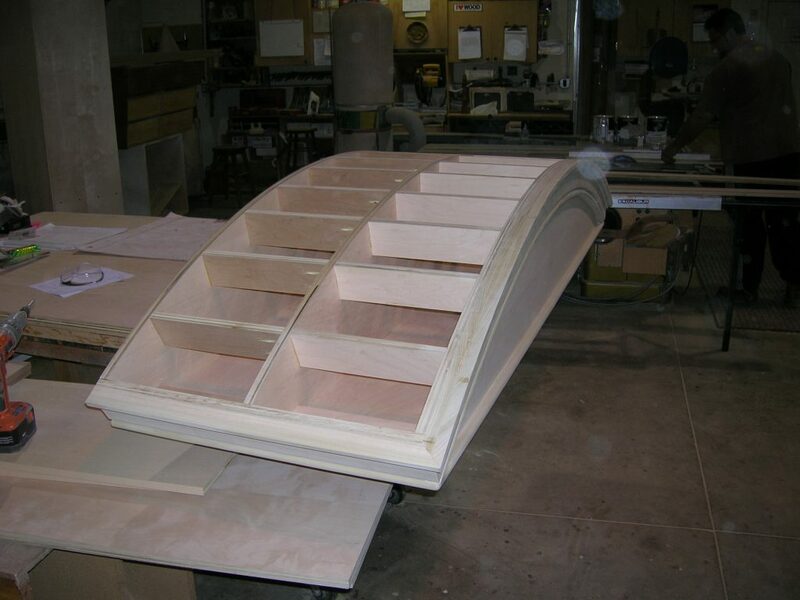 We take a highly creative approach when designing custom cabinetry. We are extremely sensitive to the leading role that media and entertainment centers play in today’s interior design. Every facet of each cabinet is evaluated for function and appearance. First, we look at how the furniture will blend with the existing environment. We build any style of furniture from traditional to contemporary and in all cases strive for harmony in the design. Secondly, we evaluate how the client will use the cabinetry, such as, where is the best TV viewing angle, component accessibility and how the size, shape and location will effect other elements in the room. In addition to the artistic beauty of our cabinetry, good design is the key element to well built, long-lasting and user-friendly furniture crafted specifically for each customer’s lifestyle. 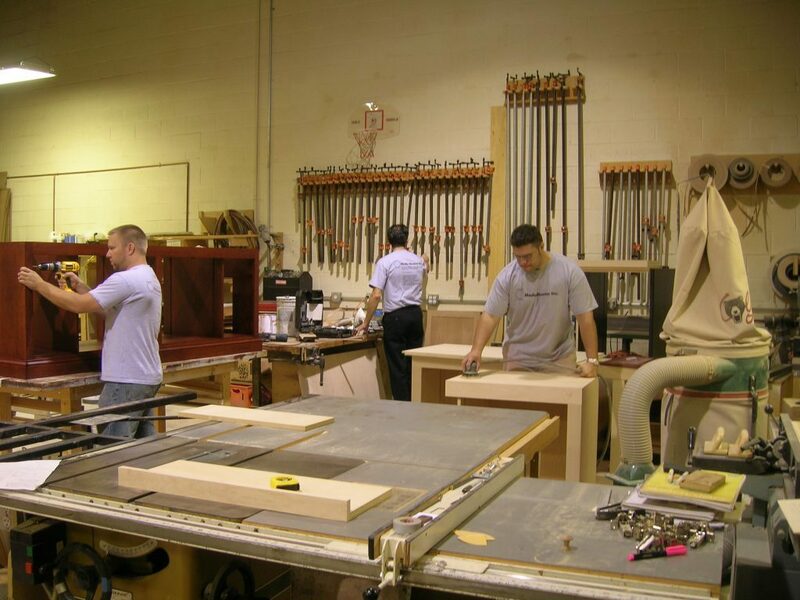 We only use premium-grade veneered plywoods and hardwood, and premium quality hardware. All Cabinets, Theater Interiors and Electronic Installations shown were Designed, Built and Installed by Media Rooms Inc.